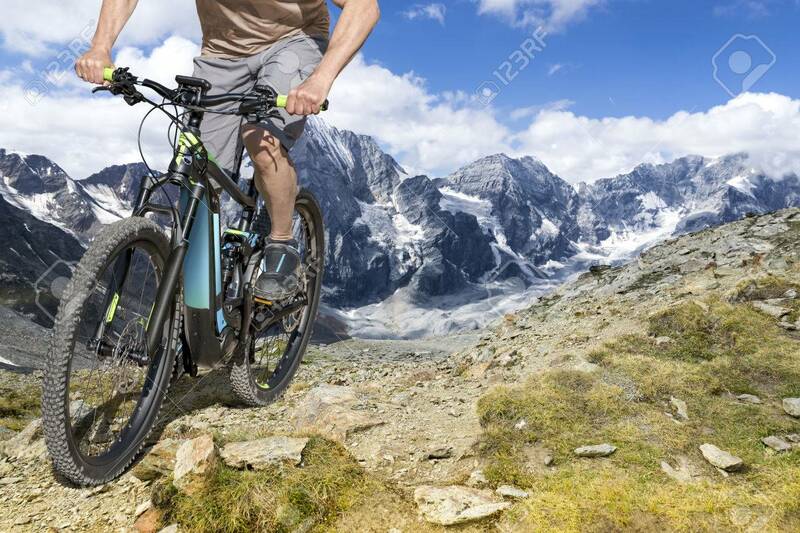 Single Mountain Bike Rider On E Bike Rides Up A Steep Mountain.. Stock Photo, Picture And Royalty Free Image. Image 76791369. Stock Photo - Single mountain bike rider on E bike rides up a steep mountain trail. Single mountain bike rider on E bike rides up a steep mountain trail.